We design highly individual gardens and outdoor spaces that work for you, your family, and your lifestyle. Our complete garden design service takes you from initial consultation through to garden completion, including overseeing the construction process itself to help make the process as easy and enjoyable as possible. You may be just looking to revamp an existing border which has grown tired over the years, or looking for planting suggestions for more challenging sites such as flood plains, shady areas or dry areas. 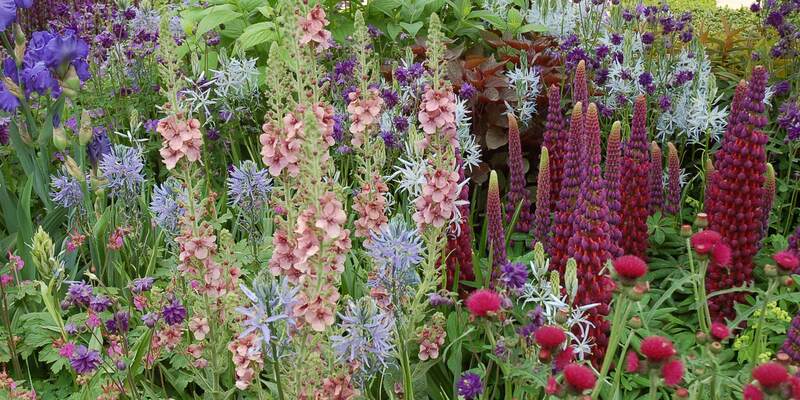 We provide unique planting combinations that not only suit your particular site but also provide year round interest. Not everyone needs a complete re-design, it may be that you just need an expert pair of eyes to help you find ways to revitalise, improve or radically overhaul your outdoor space. A one-off consultation is a really popular service and a good starting point for getting advice. 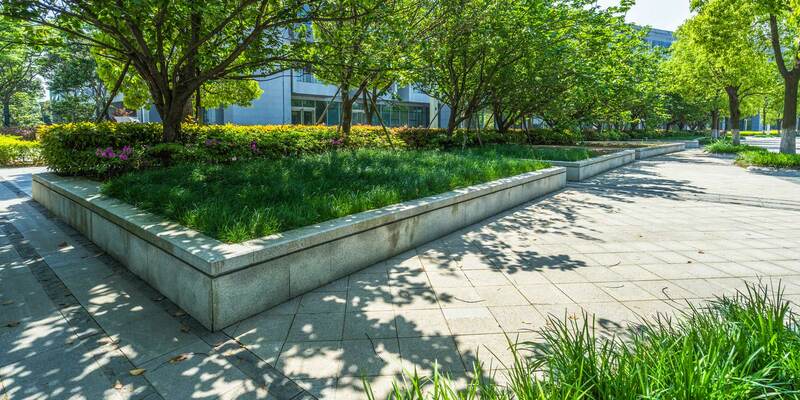 We can provide both hard and soft landscaping design services to commercial clients including Architects, Landscape Architects, Contractors and Property Developers. We also work with Schools, Local Councils and Community Projects. We will help you to maximize the potential of your outdoor space, designing for visual impact as well as practicality. We hope you find these FAQ’s useful, but if you have a burning question that isn’t answered here please do give us a call on 07793551464 or email us and we will do our best to answer any questions you might have. How much should I spend on my garden? Many people spend a great deal on their homes yet neglect one of their greatest assets, their garden. An attractive, well-designed garden is an investment as it provides lasting pleasure and can add value to your property. Devoting 4 – 10% of the value of your property to your garden is likely to prove a sound investment, giving you hours of pleasure, and enhancing the monetary value of your home. The money you spend on your garden will also keep accruing value because, as long as the garden is well maintained, the plants will grow and mature. Which means that as time passes, your beautiful garden just goes on getting better. How much does garden design cost? Clearly, when you decide to invest in your garden, you will want to be sure that your money is well spent. It is therefore worth devoting a small percentage of your overall budget to professional garden design to ensure that the money you do spend gives you the garden that you want. 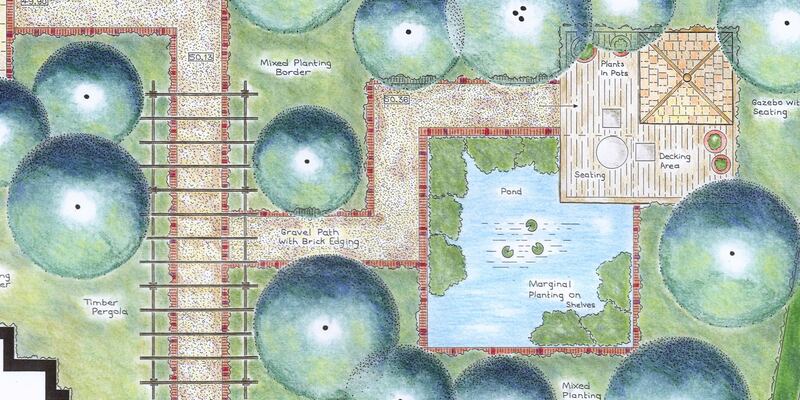 The garden will be designed to your requirements, whether it be a haven for wildlife, a place for entertaining or simply a place to relax and escape. Concepts which you may not have considered before can be discussed whether it be bespoke seating, the latest plants, lighting, sound and much more. Drawings are produced (including 3D) so you can see how your garden will look before any of the actual work begins so you are not left disappointed on completion. The right plants in the right place will be selected along with the right balance of hard landscaping and planting. You can simply brief the designer and then receive the design and subsequently the garden of your dreams without any work or worry of your own. For smaller projects (up to £10,000), you should count on devoting 18%-20% of your overall budget to garden design (from initial consultation right the way through to signing off the construction). 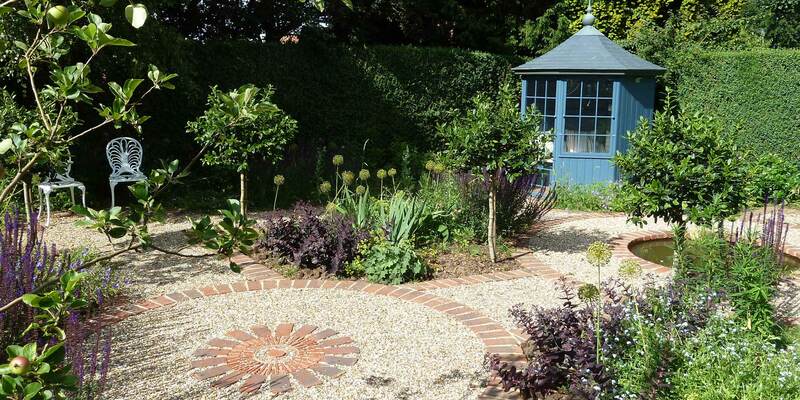 For larger projects (up to £50,000), you can reckon on spending 12%-18% of your budget on garden design services. And for big projects (£50,000 and upwards), the percentage of your overall budget that you are likely to spend on garden design services may drop as low as 8%. The expenditure is largely in the creation of the hard landscaping – the paving, decking, pergolas and walls all soak up contractor days and materials. Any landscaping costs will be comparable to any other building project. While it is not possible to pare down the day-rate of a landscaper, it is possible to make the design faster to implement. This is where it pays to engage the services of a garden designer. Whether you’re an experienced gardener or a garden novice, a good designer will suggest ideas you haven’t thought of yourself. They should be able to come up with a scheme that works both practically and aesthetically, and is tailored to your needs and site. A good designer should also be able to get you well-grown plants and a range of products – from materials, structures and fittings to accessories – at competitive prices. Even if you don’t want to opt for a full redesign it can be worth asking them to cast their expert eye on a particular aspect you want to tackle – perhaps a boundary that’s recently become overlooked or a troublesome area of planting – or to get ideas for changing existing elements. What can I do beforehand? It’s really important to take a hard look at your garden and decide what works – and what doesn’t – about it, and how you would like to use it. How much time you want to spend looking after it? Are there elements you must have, or others you’d like to have but are not essential? Are there particular problem areas? What’s the soil like and which are the sunny/shady parts? Answering these questions will provide a really helpful brief that you can send to your potential designer before you have your initial meeting. Importantly, you should know how much money you have to spend as this will give the designer an idea of what they can include in the project. You also need to think about the kind of feel you want your garden to have. One of the best ways to communicate this to a designer is to make a mood board of images. These could include photos of gardens you’ve visited and liked; clippings taken from magazines and newspapers or photocopies of books; or sketches of your own. Think about the hard landscaping as well as the plants and include images of furniture, pieces of sculpture, artwork, or simply colours or materials that you find appealing. You could make your own scrapbook or use a website, such as Pinterest to collect images. Many designers will offer a range of different services so it’s important to establish from the beginning what you want from them and how much work you are willing to do yourself. For instance, you may feel happy to source and plant your own plants, but feel less confident about managing the build. design plus overseeing the build. If you choose the latter option you will employ the building contractor directly, although the designer may recommend one he’s worked with before. Either way, a good designer will check on the build to make sure all is going to plan.